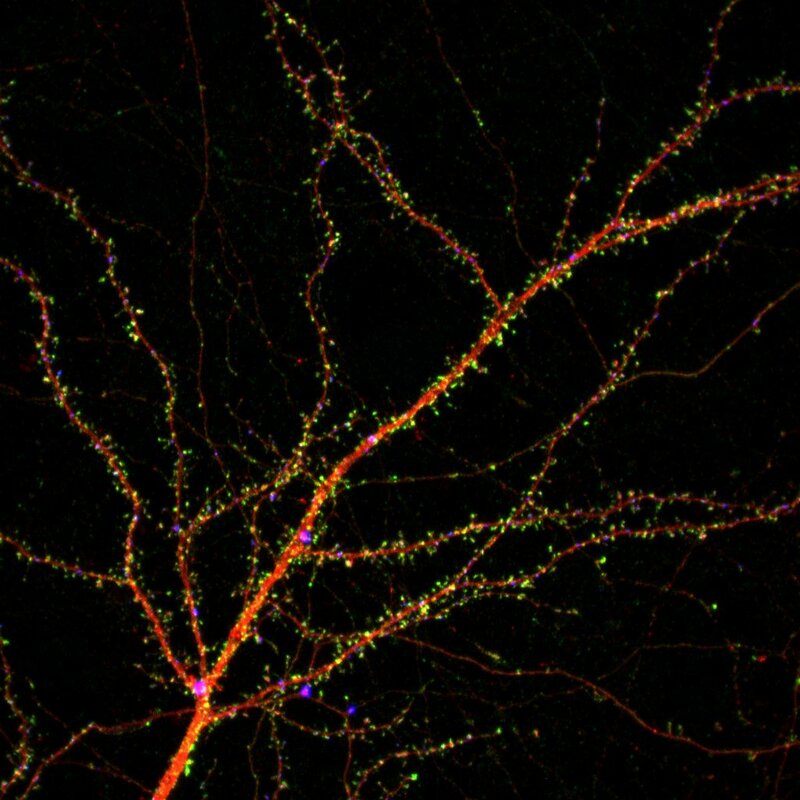 Callosal axon branching (green, contralateral side) labeled by in utero cortical electroporation at E15, examined at P21 (from Julien Courchet). 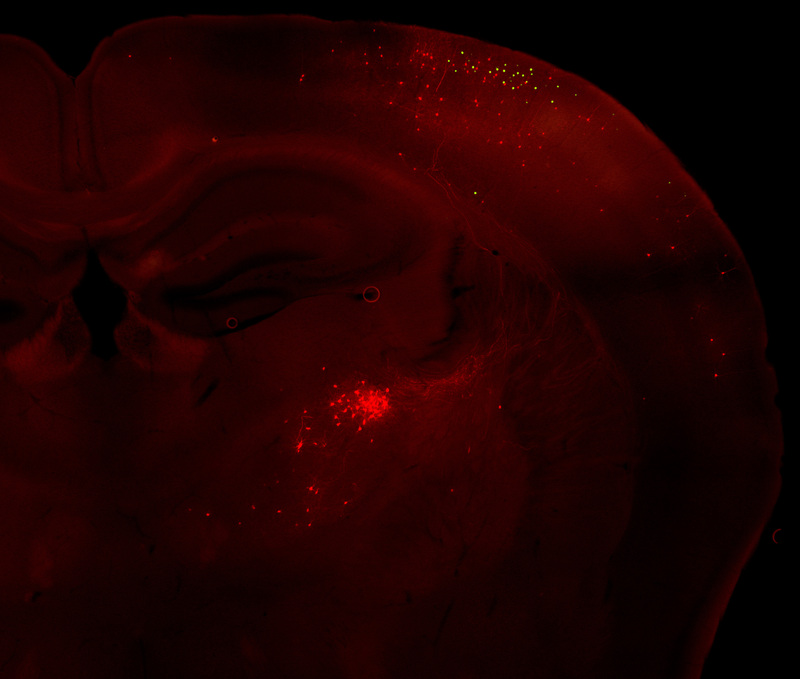 Red counterstaining (Cux1) labels layer 2-4. Courchet J. 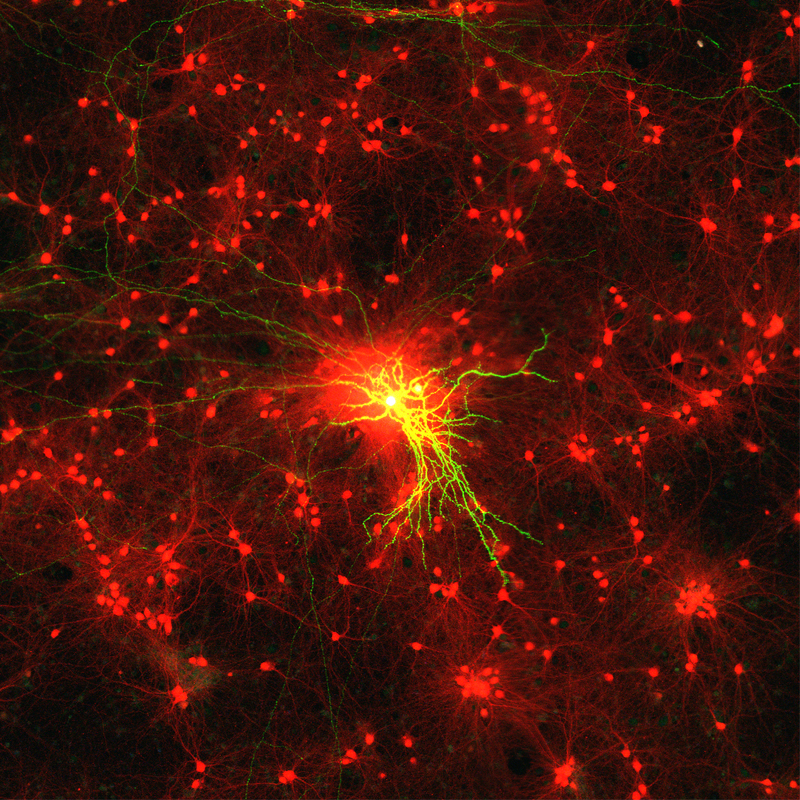 *, Lewis T. Jr *, Aizawa S. and Polleux F. (2013) Terminal axon branching is regulated by the LKB1-NUAK1 kinase pathway via presynaptic mitochondrial capture. Ex vivo cortical electroporation (E15 mouse embryos) coupled with organotypic culture for 5 days results in radial migration of EGFP+ pyramidal neurons to the cortical plate (CP) and the projection of their axon in the intermediate zone (IZ). Red channel: CTIP2 (layer 5 and 6a marker). Neural Development Aug 24; 6:30. 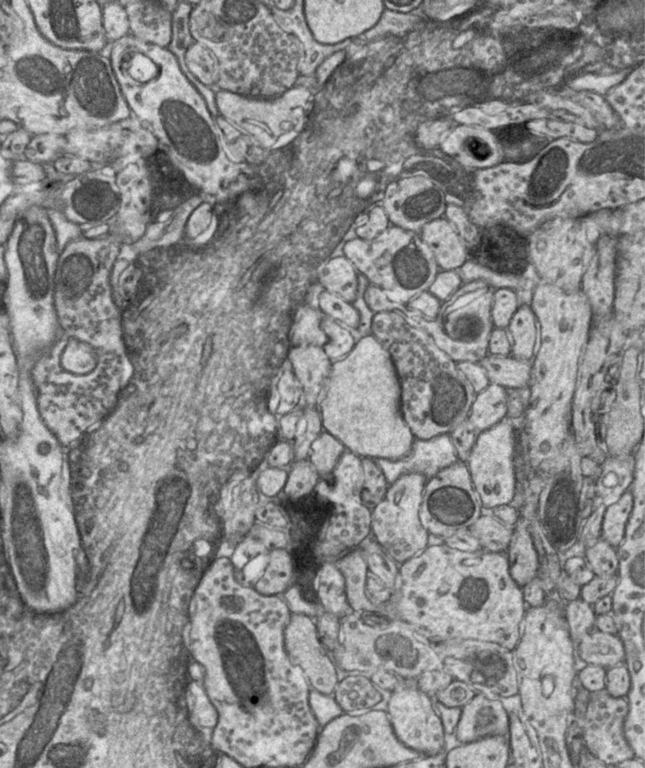 Electron microscopy image of a layer 2/3 cortical neuron highlighted by DAB staining. 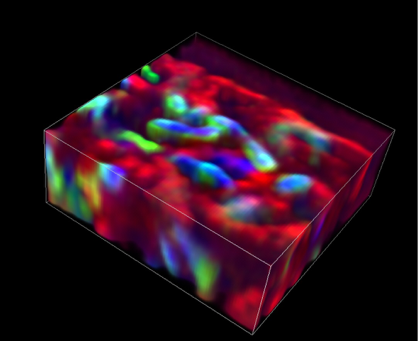 The ER-mitochondria interaction sites labeled by split-GFP (Red:ER, Blue:Mitochondria) visualized using super-resolution microscopy (SIM).